Discover a relaxing wooded oasis. 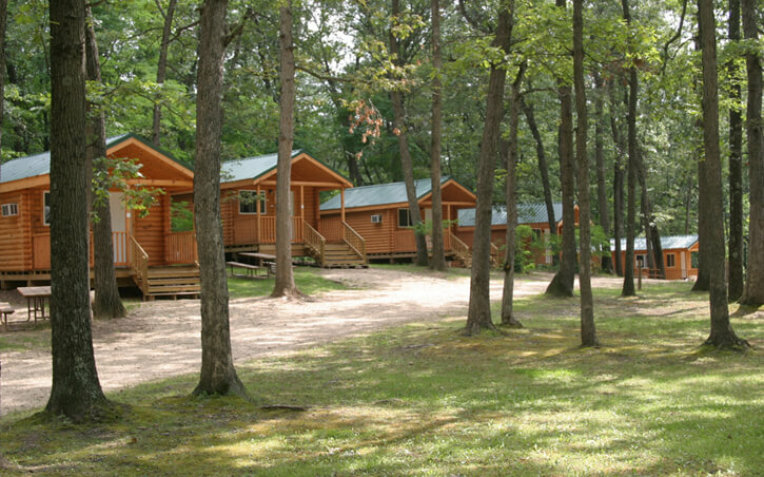 Convenient full hook-up pull-thru sites with 50/30 amp service; beautiful log cabins with AC, kitchenette, shower and bathroom; rustic sleeping cabins; wooded pop-up and tent sites. 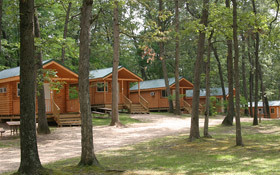 Friendly service, clean bathrooms, free showers, heated pool, laundry, FREE WIFI, nature trails, playground, game room. Free shuttle to Ho-Chuck Casino. Perfect for your Dells vacation.